One of my very philosophical artist friends used to state that there is nothing more curious for fashion designers than time. Usually, they’re very informed about it, they’ve done their research and know the history essentials, but they keep calling back the past by setting retro trends into motion. Why? Although we move forward, come up with new shapes, colors and combinations, there is no season without a thorough retro comeback. 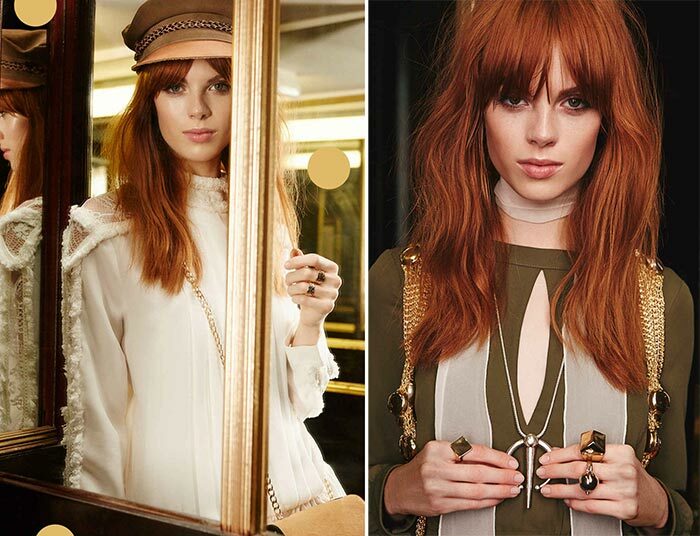 This time, it’s Nasty Gal bringing the past back again through its stylish pre-fall 2015 collection. This season the nastiest girls will be turning into romantic ’70s girls all around the world. I would love to tap more into why the designers at Nasty Gal decided to turn back to the ’70s, a period so full of feminine beauty, when there are the roaring ’20s, flirty ’50s, and so on. Perhaps it’s the irony that attracts. ‚Äö√Ñ√∂‚àö√ë¬¨‚àÇOR the tempting freedom and carelessness, which put the ’70s on a completely different platform! The campaign suggests you should “make an entrance,’ and the colors of the Nasty Gal pre-fall 2015 collection can definitely help you out. There are hues that look like freshly squeezed juice and you can’t keep but stare at them. The gold and the khaki green‚Äö√Ñ√∂‚àö√ë¬¨‚àÇ this is a combination you can’t possibly go wrong with. It’s classic for some part of the fashion society, a kind of alternative to the standard black and white. You never get tired of a hint to the tough military style (often introduced in the khaki green color) and the feminine gold and white. We’ve learned that these polarized oppositions work the best, haven’t we? The overall color palette ranges from green to red, white, black, gold, mustard yellow and more. There’s also something surprising for Nasty Gal’s pre-fall 2015 lookbook. One would think the garments are not very cohesive; there’s a diversity among them that could make you believe they’re not part of the same collection. It’s like an inventory of all the popular looks that were hot in the ’70s, a directory of the #MostPopular. Perhaps, this is why some of the looks look very alien to the overall line. I can easily imagine how these looks were once presented in different collections, each based on its own inspiration and creator. Now they stand together in Nasty Gal’s collection. A lot of space on fabric has been dedicated to patterning, to fit into the spirit of the ’70s, of course. There is a range of decorative patterns next to the classic French stripes and polka dots. Plain canvas garments are also available, so don’t let a polka dot keep you from noticing the rest. There is something special here for everyone. In contrast with the patterns, the shapes are not too diverse. When it comes to length, you have only 2 choices ” too long or too short. The beautiful fitted shift dresses, which also happen to be a little short, are a very good transition from summer to fall. Oh wait, there’s more. Pharrell, is any of your hats missing? This would make so many Pharrell fans #HAPPY; maybe accessories is where you should start here!